After the glorious completion of Stem Cell Congress 2019, it’s our pleasure to welcome you back to the lead gathering “4th World Congress on Stem Cells and Regenerative Medicine” expected on March 12-13, 2020 at the incredible city Paris, France. Stem Cell Congress 2020 provides the best place in exploring your innovations in the form of presentations and oral talks apart from that it furnishes your acknowledgement across the globe. Stem Cell Congress 2020 elevates its height by gathering all the researchers directly linked with the field of Stem Cells and Regenerative Medicine along with its allied fields. Our conference provides a unique platform for biomedical companies, students, business professionals, speakers, consultants, doctors, scholars, researchers and professors to frame new networks and strengthen their knowledge and innovations. Our theme is to Explore the scientific Inquest on Stem Cells and Regenerative Medicine to provide a wide application to researchers and scientists. We feel grateful in welcoming you all at a single place in providing your valuable thoughts on stem cells, cell biology, molecular biology, regenerative medicine, tissue science and bioprinting and dermatology. Scrutinize your research in the lighting city, Paris! Stem Cell differs according to their source and their malleability. Embryonic and Adult Stem Cells hold great therapeutic potential and substantially improved the techniques. The first documentation of isolation of early Stem Cell was done in 1994 in Human blastocysts and that leads to the evolution of embryonic stem cell culture. Stem Cells have the remarkable potential to develop into many different cell types in the body during early life and growth with the capacity to regenerate themselves and thus playing an important role in therapeutic challenges. This is an important field of study where researchers are rigorously working with cells in the laboratory to screen new drugs and to develop model systems to study normal growth and identify the causes of birth defects. Stem Cell culture can be done in-vivo or in-vitro techniques. Through suboptimal media, the differentiation potential of stem cell can be altered. Therefore it is important to select the specific stem cell media and reagents at the initial research process. Recently, cell culture protocols, such as organoid cells culture, have provided a more predictive in-vitro cellular mechanism that includes Disease-in-a-Dish model. The development of bioprocess and their technologies to achieve control reproducibility, automation, validation along with their products, uses the stem cells in Regenerative Medicine and drug screening applications. New technology has proved that one square meter of Bioprocess would produce enough cells to treat 4,000 patients, while traditional methods require less than this. Recent research and developing technologies in Stem Cell make them apply for treatments related disorders and for diseases like neurological, cardiology, ortho, dental, dermatology, diabetes, tumour and so on. The most widely used stem cell treatment is the transplantation of blood stem cells to treat diseases and conditions of the blood and immune systems. Cumulative results of this research show that stem cell treated patients improved their symptoms by an average of 81.6% to 72% which occurred immediately after the treatment. Emerging evidence shows that Oncology and Stem cells might play an important role in resistance to traditional cancer therapies, and for the study of cancer stem cell, especially for the castration-resistant disease. The Global Market size of the cancer stem cell has been estimated to be 679.5 USD million in 2016 and expanded to reach CAGR of 9.98% at consecutive periods. Though the cancer field has conventional therapies including chemo, radiation and surgery, stem cell plays a great role in cancer treatment and therapies. Though there were huge challenges in regulation and ethical issues, stem cell research is growing enormously around the world. Stem cells can function as novel delivery platforms by homing to and targeting both primary and metastatic tumour foci. Additionally, stem cells can be applied in immunotherapy, regenerative medicine, anticancer drug screening applications and cancer stem cell-targeted therapy. Stem cell plasticity makes the adult tissues-specific to stem cells in order to make new identities. Many laboratories have given their evidence on stem cell plasticity; however, there is a controversy among the scientists in finding the data persuasive and they have remained sceptical about these new findings. There are some examples of plasticity in which differentiated cells or their precursors can be reprogrammed by extracellular tissue to alter their character in improving their implications for cells therapy and other forms of regenerative medicine. The mesenchymal stem cells have greater plasticity than others and it can be used to contribute to a wide range of different tissues. Till now 1 million stem cell transplants have been performed across worldwide. Today, more than 70 cancer and non-cancerous diseases are typically treated with the help of stem cell transplants. Survival rates can be increased significantly for patients who can receive blood stem cell transplants from both related and unrelated donors. Recent research has been done on 38,000 patients who are affected with serious blood cancer and diseases for about a 12-year period and they show significant improvement in their survival rates from 48- 63 percent. At present, cord blood stem cell has been utilized as an alternate of donor treatments and achieved more than 2000 Cord blood Haematopoietic Stem Cell Transplant per year. Artificial Organ and Organ Repair provides the proof proposing for organ-specific stem cell. However, the greatest accomplishment was first detailed in the artificial urinary bladders developed in the lab and transplanted them into the patient. The future patterns of bio-designed and 3D printed organ open doors for development in relatively every angle of therapeutics. 3D bioprinting is the emerging technologies in the field of medicine which is quite remarkable. For over 10 years researchers have been persuaded that undifferentiated cells were considered as the eventual fate of organ repair since they can turn out to be any cells in the body, reversing the harm which doesn’t change. The principal of whole organ transplant involves utilizing the adult stem cell and a scaffold for clinical assessments. Numerous scaffolds were produced from a variety of biomaterials and manufactured using a plethora of fabrication techniques which has a key consideration like biocompatibility, biodegradability, mechanical properties, scaffold architecture and manufacturing technologies in the field of Stem cells and Regenerative medicine. The world scaffold element technology market reached approximately 4.57 million dollars in 2013, and by increasing 13.4% annually, it is estimated to expand to 10.63 million dollars at the end of 2020 which makes stem cells to be acknowledged worldwide. By 2022 the biobanking market is targeting to achieve USD 2.69 Billion from USD 1.85 Billion in 2018, at a CAGR of 7.8%. Advances in biobanking and their developing pattern and to preserve cord blood stem cell of new-borns, government and private subsidize to help regenerative medication and their developing requirement for effective drug discovery and improvement. Cord tissue banking is used for collecting, preparing and cryo-preserving the cord tissue for future medical utilize. If the umbilical cord has 50 CMS and Vita 34, the mesenchymal stem cell will be in large quantity when we are collecting in future. Different sources of stem cell including mesenchymal cells, embryonic stem cell and induced pluripotent stem cell have been considered in targeted therapies which numerous focus points. Induced pluripotent stem cells and individual pluripotent stem cells have been presented as a suitable contender for personalized cell therapies. A recent publication, the report portrays, Intestine-Chip is considered as the means to personalize drug treatments for people suffering from gastrointestinal diseases like inflammatory bowel disease and Crohn's disease. 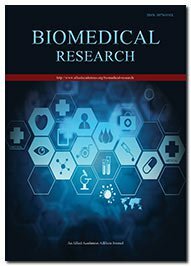 An ongoing market sector review on stem cell research and drug discovery demonstrated that regardless of a lot of hype and hope around stem cell, most drug discovery related endeavour's still fallen into the classification of fundamental research and the larger part towards the oncology or tumour territory. Many new research tools are now obtainable which is expected to catalyse a new target discovery in the stem cell research. Microarrays have reformed molecular biology assays which are used to perform worldwide analysis with a huge number of qualities at the same time They have been generally utilized as a part of gene discovery, biomarkers assurance, disease classification, and investigations of gene regulation. Microarrays have been applied in stem cell research to recognize the expression signatures and to portray their differentiation programs toward specific lineages. Biomarkers have discovered an inexorably imperative part in drug development, understanding the mechanism of a drug, researching efficacy and toxicity signals. Practically, it is basic in biomarkers research that holds fast to statistical principles and takes after a sound measurable approach to limit bias and maximize precision. Cancer Stem Cells are virtually resistant to radiation and may contribute to treatment resistance and recurrence. Therefore, therapies targeting Cancer Stem Cells is used for complete tumour eradication. These potential markers predict the response to radiotherapy when they are used for treatment. Other reports have indicated that several new therapies, such as carbon ion radiotherapy and internal radiotherapy with copper-64-diacetyl-bis appear to be the promising treatments. However, stem cells prevent the damage caused by radiotherapy and chemotherapy to a patient’s normal tissue. Mesenchymal stem cells have been used to help alleviate this damage, but their potential to lead to residual tumour cells. Ageing is a risk factor for blood cancer and some other factors. As we get mature, endothelial cells supportive capacity decreases which lead to dysfunction. Today, more and more people are turning to stem cell therapy as the ultimate anti-ageing treatment and recent research have indicated the possibility of rejuvenation of tissues and stem cells through modulation of specific pathways. In ageing and cancer advancement processes, a pressure reaction termed “cellular senescence” is linked to multiple pathogeneses of both degenerative and hyperplastic diseases. Advances in stem cell biology reveal the cellular and molecular targets with the need to optimize tissue healing and functional recovery, thus refining the rehabilitation clinical practice. Recently, Regenerative Medicine market targets $18.9 billion and will reach $53 billion by 2021. 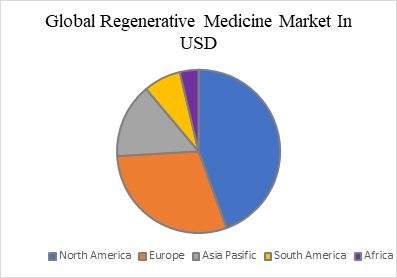 The Regenerative medicine market has a great scope and it is also executed to a broad field of applications in diseases including neurological, immune system, cardiovascular, diabetes, musculoskeletal, visual, orthopaedic and wound healing. Global Organizations for dynamic in In 2017, cell treatments and regenerative medicine has been raised more than $6.1 billion. In future, there may be new pharmaceutical aggravates; those can enact tissue-specific stem cell and elevate the Stem cell to relocate to the side of tissue damage, and elevate their separation to tissue-specific Stem cells. Understanding the functions of each tissue and organ and incorporating their advancement in clinical treatments for degenerative tissues plays a major role for researchers in regenerative biology. Stem cell-based culture models, high-regeneration animal models, large-animal chimeric models, transplantation technologies and programmable nuclease-based genome-editing technologies are the developing applications. The field of Stem cells in genome editing provides the organoid culture system with a major impact. Therefore, collaborative and integrative researches across these fields might be critical to develops their need in clinical trials and in genomics. Recently, Computational biology has been translated in both knowledge and development basis. At the cellular level, the stem cell and regenerative medicine can be studied but at the molecular level, there is a need for modern technologies to handle the data and thousands of gene products. Therefore, in Stem cells, the expression of hundreds of genes must be stable in the self-renewal case, but the gene expression can be directed to be in a coordinated manner towards states upon external signalling cues. Bioinformatics is also used in the field of stem cell and regenerative medicine with computational applications. Stem Cell has been studied from an adult, embryonic, mesenchymal and blood stem cell but recently these treatments are implemented in bone marrow transplant. Stem cell research has extended its pathway to treat the disease mechanism and involves clinical therapy. Since there is a disadvantage like immune rejection, regulation and ethical issues, Stem Cell holds a vital role in solving these issues. Stems cells along with Regenerative medicine is expected to be a solution for much pharmaceutical development, drug delivery. One potential approach we can develop from new stem cell technologies is to provide them with therapeutic applications to reverse the pathological conditions. The present application will utilize a new source of primate stem cells which is derived from parthenogenetic activation of non-human primate oocytes. Stem cell explores and offers an incredible guarantee for understanding their challenges and in addition, it includes the desire for new therapies for various disorders and diseases. Human Stem cells (hSC) research provides moral and political discussions. These moral and social issues emerge to some degree, whenever the result affects the patients. There are certain rules about morals accessible at US NIH guidelines on research on human embryonic stem cell. Therefore, this is an ethical issue of targeted embryonic stem cell and is also used to relate the cells from the umbilical line, breast milk, bone marrow, which are not pluripotent. Owing to the positive investments from biopharmaceutical and pharmaceutical companies for conducting stem cell research, the Global Stem Cell Sector is predicted to attain their favourable growth. The demand for Stem Cells can be augmented by increasing the incidence of chronic diseases. In the last few years, stem cells therapy has been gaining worldwide traction. The growth of stem cells in the next few years is estimated to increase by a significant rise in the applications of stem cells and the advent of new treatments for chronic diseases are estimated to enhance. In 2006 Human adult stem cells for cell-based therapeutics were worth $21.4 million. This progress increased to $28.1 in 2007 and further increased to $173.8 in 2012 at a CAGR of 44.0%. At last, Stem cells market is expected to grow at a CAGR of 21.8% during the forecast period of 2018-2023. Regenerative medicine is a part of translational research in the field of Stem Cells and Molecular Biology. This type of medicine involves regenerating and replacing human cells, organs, and tissues with the help of specific processes. In the past few years, North America led the global regenerative medicine market and it remains in the topmost position throughout the forecast period. This region is expected to account for a massive share of the global market, owing to the rising prevalence of cancer, cardiac diseases, and immunity problems. In addition, the growth of the North America market can be raised by the demand for regenerative medicines and the government funding are some of the other key aspects. Apart from that Asia Pacific is also expected to register a substantial growth rate in the next few years. The high growth of this region can be attributed to the availability of funding for research and the development of research centres. In addition, the increasing contribution from India, China, and Japan is likely to increase the growth of the market in the near future. Cord blood Stem Cells are used in different categories like 28% for treating genetic disorders, anaemia and immune deficiency. And the survival percentage is 20% higher in children who received matched stem cell and 60% in adults. Even though the stem cell research started with children, now a day it has been evolved to adult studies where mismatch at two or more HLA antigens happens and the transplant mortality rate has increased to 50% because of infections which lead to regimen toxicity. This report has been done only for the analyzation of the current research with respective venues. The information does not have any of the illegal or confidential data. With the enormous pleasure, we would like to thank all the keynote speakers, plenary speakers, young researchers, students, business delegates and media partners for making Stem Cell Congress 2019 a glorious and victorious event. AAC hosted the joint event of 2nd World Congress on Stem Cells and Regenerative and World Congress on Tissue Engineering and Regenerative during March 14-15, 2019 at Sheraton Heathrow Hotel, London, United Kingdom with the theme “Breakthrough Research and Technology for Stem Cells and Regenerative Medicine” and “Novel Perspectives on Tissue Engineering and Regenerative Medicine”. 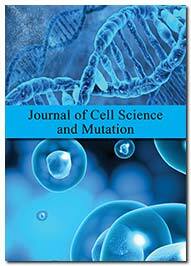 Gracious response and active participation were received from the Editorial Board Members of supporting International Journals as well as from the leading academic scientists, researchers, research scholars, students and leaders from the fields of Stem Cells and Regenerative Medicine who made this event successful. The Scientists, Business Delegates, Young researchers marked the attendance at the conference representing more than 15 countries, have driven the conference path to great success. 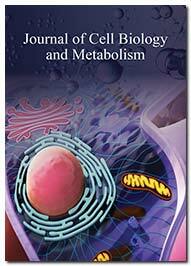 The conference abstracts were given with DOI numbers in the Journal of Biomedical Research: Current Research. The conference was embarked with an opening ceremony followed by a series of interesting keynote and plenary lectures delivered by both honourable guests and members of the organizing committee. Finally, the day ended up with Poster sessions and a student was given with the best poster award as judged by the keynote speakers. Once again, we would like to thank our fabulous Organizing committee members and the attendees for their gracious presence by facilitating the who supported the conference with active discussion forums and assistance towards the success of Stem Cell Congress 2019. Stem Cell Congress 2019, with its grand success, AAC is happy to announce that the “4th World Congress on Stem Cells and Regenerative” is scheduled during March 12-13, 2020 at Paris, France. All fully paid registrations are transferable to other persons from the same organization if registered person is unable to attend the event. Transfers must be made by the registered person in writing to stemcellcongress@geneconferences.com. Details must be included the full name of replacement person, their title, contact phone number and email address. All other registration details will be assigned to the new person unless otherwise specified.